How many laptops out there do you know that have managed to pick up the THX Mobile Certification? If you are still scratching your head in trying to come up with an answer, don’t worry. 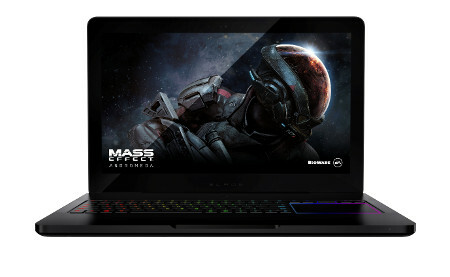 The Razer Blade Pro laptop is exactly just that, and it boasts of THX Mobile Certification which so happens to be an accreditation which is specially reserved for high-performance smartphones, tablets and laptops. In other words, the THX Certification will encompass not only the display, but also audio output of Razer’s flagship computer. Razer has come up with its fair share of special edition Razer Blade laptops in the past, so it is not strange to see them take this route with the Razer Blade Pro. Having been put through the processes of THX, the Razer Blade Pro screen is specially calibrated and tested for resolution, color accuracy and video playback performance. Your eyeballs would definitely look on in joy, as you go through an unrivaled viewing experience regardless of whether you are indulging in your favorite action movie, or are engrossed in a FPS. Not only that, the audio jack incorporated into the new Razer Blade Pro has also met THX requirements for voltage output, frequency response, distortion, signal-to-noise ratio, and crosstalk — virtually guaranteeing nothing else but clear sound through headphones. Underneath the hood, the new Razer Blade Pro is a power-packed machine, boasting of an overclocked 7th generation Intel Core i7 quad core processor, 32GB of RAM, the newest NVIDIA GeForce GTX 1080 GPU, a 17.3” 4K IGZO display with NVIDIA G-SYNC technology for the smoothest possible framerates, a 2TB SSD, an integrated SD memory card reader, a trio of USB 3.0 ports, and a Thunderbolt 3 port. The thinnest Razer Blade Pro to date, it tips the scales at 8 pounds and is 0.88 inches thin. The asking price for the brand new Razer Blade Pro stands at $3,999.99 a pop.